It may sound so simple, but it was really one of the biggest eye openers for me when I realized – I don’t have to own to enjoy. I used to love shopping. Browsing through shops and planning all the things I wanted to buy – because that was the goal: To buy. I wanted things to be mine. And then one day we got into minimalism, a way of living simpler, with less stuff and with more joy. I read something about how you can enjoy things without feeing the need to purchase them and own them (and store them, and care for these items). It’s a very small change in your mind, but makes a huge difference. When we moved to Luxembourg we decided to look for an apartment. We had always lived in houses, and had always had a garden. Neither my husband nor I have any kind of green fingers, or gardening interests. It was a struggle each year to get some kind of plants to survive in our care. We enjoyed the thought of a garden and we loved sitting outside, but we certainly didn’t enjoy the work associated with having a garden. In Luxembourg, we found a flat. 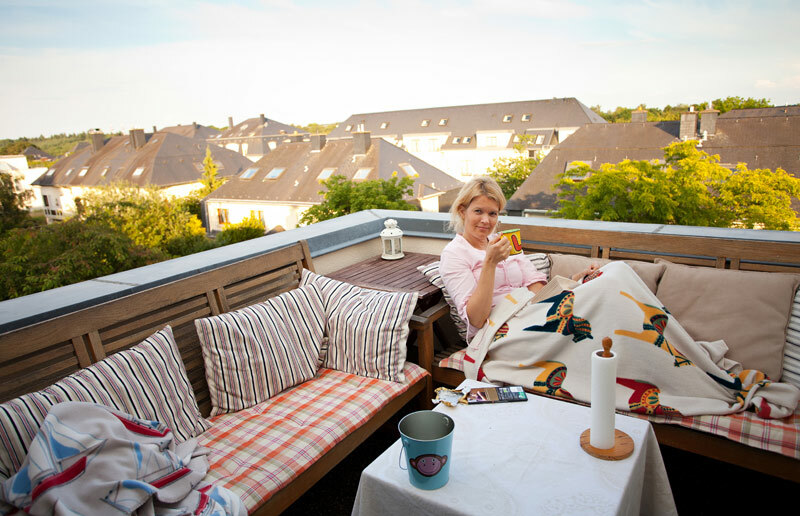 Top floor, balcony and view over the rooftops of Kirchberg. We still enjoy gardens. In fact I admire all the gardens surrounding us here as I go for my daily walks, but I’m happy that I don’t have to spend a minute of my time working in them. 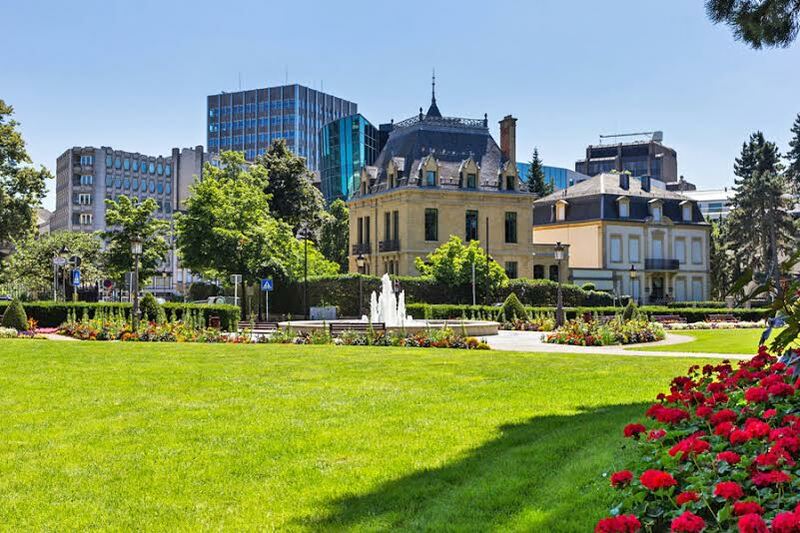 We visit the beautiful parks in Luxembourg town. We enjoy the amazing flower beds and sit on the park benches in the sun. What we don’t have to do anymore is buying plants, try to identify weeds, cut grass and store and care for a vast amount of pots and tools. I deliberately keep the balcony plant and pot free. It is my relax zone! The balcony versus garden is just an example. You might love gardening and it might be good for you. But there are always areas of our lives that should be reconsidered. A guestroom that stands empty 300 days a year. A canoe that just takes up room in the garage three seasons out of four. Is the happiness of having something worth the work we put into it and the cost of owning it? Sometimes the “not having” gives more joy and satisfaction, and definitely a feeling of freedom! So consider what things in your life are bringing you real joy and what things just own you.